*The Top 5 Trade For/Away, Waivers/Free agents, etc. will post tomorrow pre-noonET. -- Greg Olsen (1-10-0/4) was back from a foot injury, played some…and then hurt the same foot and was lost for the game. Knowing they’re likely to make the playoffs – Olsen will probably get shut down for as long as it takes to have him 100% for January. Likely out the rest of the regular-season. -- Tough day for TEs in this game…Austin Seferian-Jenkins (2-27-0/7) dropped two TDs in this game. One pure drop and another caught but bobbled upon his crash landing after the catch. ASJ is working as a poor man’s Jimmy Graham on an offense that is passing the ball fairly well. Not big yards…but a TD threat every week. 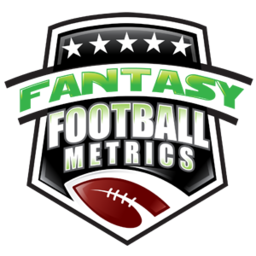 -- Cam Newton (11-28 for 168 yards, 0 TD/0 INT, 9-28-1) is all over the place with his passer numbers, but his rushing makes him a high-end QB1 every week – Cam has 8 or more fantasy points from just rushing in games in his last three games, and in six of his last 9 games. -- Marquise Goodwin (4-78-0/6) led all 49ers’ WRs in targets by a wide margin. He caught passes all over the field. He looks a little uncomfortable in the ‘#1’ role but did fine. He’s clearly the top WR for C.J. Beathard…but who knows for Jimmy Garoppolo? I think he will be, but we won’t know until next week…it looks like. -- Eddie Lacy (17-46-0, 3-15-0/3) started and was as awful as ever. Mike Davis is supposedly going to play next week – he’s the guy to have in this backfield. -- Paul Richardson (4-70-0/7) is the clear preference for Russell Wilson over Tyler Lockett, as his Baldwin-alternative throw. Richardson is a talented WR and is a WR2.0-2.5 option week-to-week. However, tough schedule ahead – PHI-JAC-LAR. Richardson may have a sneaky-good next three weeks, as Doug Baldwin (2-25-0/3) is not likely to shine drawing top coverage from top NFL pass defenses. -- I’m guessing Paxton Lynch (9-14 for 41 yards, 0 TD/1 INT) is done for at least Week 13…which is fine because he looked completely awful in his brief time in the game. Looks like the ‘bust’ label should be applied. Trevor Siemian (11-21 for 149 yards, 2 TD/0 INT) will likely start this week and finish the season (if needed) because the Broncos season is over and Brock Osweiler is meaningless. Start marking down Demaryius Thomas (5-18-0/8) again. -- Devontae Booker (6-11-0, 2-22-0/2) felt like the ‘lead’ back this week…but the team is so awful on offense it doesn’t matter. It won't matter much ahead either. -- With Crabtree-Cooper out of the game, Cordarrelle Patterson (3-72-0/4) made a big catch and run play to ice this win late…and if you think that will mean him getting more opportunity ahead – you've gotta be kidding me. This is a guy that takes handoffs for 50+ yard TD runs one week and doesn’t get a carry the next. However, both those guys may be out next week so Patterson might start for you in a critical Week 13 fantasy game…maybe? -- This is going to be Leonard Fournette’s (12-25-0, 3-17-0/3) lot in life until he leaves Jacksonville…defenses focusing on him and Marrone running him right into it over and over because he has no passing game. Fournette is good enough to matter but he’ll never truly be great for the NFL or FF until he is rid of Marrone. -- Dede Westbrook (6-41-0/10) led the Jags in targets and that’s going to set off a lot of chatter about him as a sleeper ahead for FF but this game had Marqise Lee (1-13-0/2) shutout by Patrick Peterson and Keelan Cole getting some key looks in critical spots. I wouldn’t make a move on Westbrook at all. -- Ricky Seal-Jones (4-72-1/6 ) will also be a heavily chattered about as a free agent pickup this week. I wouldn’t go too heavy here. If you’re TE desperate in a deeper league it’s a look but he’s really not a big-time talent…he’s OK, and he has a connection with Blaine Gabbert from the scout team…so, there is something here but it’s not as great as it has splashed onto the scene with. -- Are you done doubting Jared Goff (28-43 for 354 yards, 2 TDs/1 INT)? Earlier this week, you were worried about no Robert Woods? Sure, the Saints were wounded…but then this what a great Goff should do – stick a dagger in them. He should be fine vs. ARI next week, and then a heavyweight fight Week 14 vs. Philly. -- I didn’t believe Alvin Kamara (5-87-1, 6-101-1/6) would be a star. I thought he’d be good when used as a 3rd-down back and struggle if used between-the-tackles. Credit the Saints and Kamara…they are getting him outside into space and he is making superstar plays. Credit Sean Payton – he sets up Kamara to be a star instead of forcing him to be something he’s not. -- Sammy Watkins (4-82-1/9) embarrassed himself in this game. If any NFL team watched Watkins in this game they will not seriously pursue him in free agency (but NFL people don’t really watch games, they watch highlights and follow the media hype). I’ll write about it more in the game recap, but you want to talk about low energy/low effort/clueless – it’s Watkins’ story all season. Patrick Peterson will cover him next week and take him out once again. Josh Reynolds (4-37-1/6) will matter Week 13 to some degree. -- I tried to warn the world on Jay Ajayi (5-26-0, 1-7-0/2)…just five carries and a red zone lost fumble. He’s barely an RB3 week-to-week. LeGarrette Blount (15-97-0) is the more talented and more used RB for Philly. -- So much for getting Tarik Cohen (2 carries for -11, 2-8-0/2) the ball more after a nice workload the prior week. Sadly, we’re wasting our energy with him with John Fox. Although, this game may have opened the door for a Monday morning firing of either the head coach or offensive coordinator. -- If the Eagles offense wasn't clicking enough…now, here comes their defense – three of their last 4 opponents held to 10 or fewer points. The Bears’ once thought-to-be improved defense has allowed 23-27-31 the past 3 weeks…another reason Fox may be gone Monday. -- Kareem Hunt (11-17-0, 1-9-0/1) has gone from ‘don’t worry it will be OK’ to full-scale panic. Teams are not afraid of Alex Smith because he’s hitching/pulling back from throwing deep for the last several weeks, so they’re freely keying on Hunt. -- I know Andy Reid is shooting off his mouth about not replacing Alex Smith…but two or three more losses in a row ought to do it – that would be losses to NYJ and OAK, and leading into a desperate game for survival against LAC. Falling to 6-7 would force the Chiefs to make a change…just sitting on a #1 pick QB. -- Two IDP guys trending: Bills CB E.J. Gaines (9 tackles) has 8.5 tackles per game in his first two games since returning for injury…now, 6.4 tackles per game on the season and 0.80 PDs per game with 2 forced fumbles. KC LB Reggie Ragland has 9.0 tackles per game the past two games as well. -- Whaddya know? Treat Joe Mixon (23-114-1, 3-51-0/3) like the Le’Veon Bell he is…and you get Le’Veon Bell-like output. Finally, this week I will not write about how poorly Mixon is being underutilized. -- OK, I’ll buy Jason McCourty is becoming shutdown corner this year. This is twice this year he really bottled up A.J. Green (5-66-0/8). Concern for Keenan Allen Week 13, Davante Adams Week 14, Jeremy Maclin Week 15. -- Isaiah Crowell (16-95-0, 1-10-0/1) has rushed for 90 or more yards in two of his last 3 games, after a terrible start to the 2017 season. -- O.J. Howard (3-52-0/4) has pushed past Cameron Brate (1-6-0/2), and is trying to climb into the TE1 class. Same exact catch count, targets, and yards last week but also had a TD. It’s probably about 1-2 weeks away from becoming ‘a thing’…IF Ryan Fitzpatrick stays at QB. Jameis Winston returns…and ‘forget it’. -- Tevin Coleman (19-97-2) is so good…why they have gone so heavy with Devonta Freeman all these years is beyond me. If Freeman returns from his concussion issues…Coleman is barely an RB3. -- Doug Martin (7-33-0) is dying in this offense, but believe me – Peyton Barber (5-7-2) is not taking over because he had 2 TDs in this game…and if he does…’woof’. Barber shouldn’t even be on an NFL roster, much less taking goal-line carries. -- Kenyan Drake (9-20-0, 3-27-1/4) is an early contender for free agent pickup of the week because Damien Williams’ injury looks pretty bad. I gave up on Drake a week too early in some leagues. -- Julius Thomas (5-52-0/6) is becoming a scare-you-to-death/emergency TE1 option of late…4 or more catches in a game in three of his last 4 games – 4.3 rec., 58.0 yards, 0.50 TDs per game the past 4 games. -- Rex Burkhead (13-50-1, 2-3-1/3) has 3 TDs in his last 3 games and 4 TDs in his last 6 games as he is becoming a red zone/goal line weapon for the Pats every week. -- I’m thinking this is the game where Derrick Henry (13-79-0, 1-10-0/2) finally pushes past awful, hideous Demarco Murray (12-9-1, 3-33-0/4). Which means – Murray starts, but Henry takes the most touches, but Murray is the 3rd-down back and possibly in to steal goal-line touches – which all means…be very wary of going crazy after/with Henry. -- OK, I quit with Marcus Mariota (17-25 for 184 yards, 1 TD/2 INT). The Titans cant run and have O-Line issues…so, we’re dealing with a version of what’s happening to Dallas – 2nd and 3rd & long too often and basic pass routes being run with subpar WRs…and a head coach with no offensive innovation in the passing game. If Mariota isn’t running then I don’t care. The schedule ahead is favorable but this Titans offense is not. I might see something different on the re-watch but the live watch was terrible. The pace and tempo of this offense is Jeff Fisher-esque. -- The Colts defense was really coming on, but now sudden shutdown corner Rashaan Melvin (1 PD) appears to be in jeopardy of missing the rest of the season. -- How ‘on fire’ is Davante Adams (5-82-1/9)? Remember, a few years ago when everyone wanted him benched for Jeff Janis…when he struggled for a few games? It’s a lesson on writing off proven WRs just because the media gets overhyped on it. Which means we maybe shouldn’t get too worked up about Cooper Kupp’s struggles on some key catches? Maybe? Maybe not? -- This game was why I didn’t want to nail the coffin shut on Brett Hundley (17-26 for 245 yards. 3 TD/0 INT). He played much better this week in a hostile environment and almost pulled off a -14.0 road upset in a critical spot. Still, I didn’t think he played that great…but he’s not terrible either. -- Big Ben (33-45 for 351 yards, 4 TD/2 INT) is starting to rise up from the dead…4 TD passes in each of his last two games and 299 and 351 for yardage in those games…the Steelers two highest scoring games of the season. It’s going to get a little tougher now – at CIN, BAL, NE the next three weeks.